MOSCOW, August 3. /TASS/. The Russian diamond miner Alrosa sold the largest 51.38-carat diamond from the Dynasty Collection at an auction staged on the corporate trading platform, the company reports on Friday. The round-shaped diamond has become the most expensive precious stone ever sold by Alrosa after the auction ended. Total revenues from the Dynasty Collection sale was about $10 mln, with four out of five Collection stones sold an auction in November 2017 with about 30% extra to the starting price. "We are pleased to announce that the whole Dynasty Collection was sold successfully. This was a pioneering experience for Alrosa in creating an in-house collection of diamonds, staging road shows in different countries of the world, and selling on an electronic platform," Chief Executive Officer of Alrosa Sergei Ivanov said in a comment. "Total revenues from the Collection sale amounted to about $10 mln, which is in line with our initial expectations. We will continue this work and present new diamond collections to the market further on," Ivanov said. The Dynasty is the first collection of major diamonds made under the Alrosa brand. It was created from the 179-carat Romanovs Diamond minded in 2015 in Yakutia. 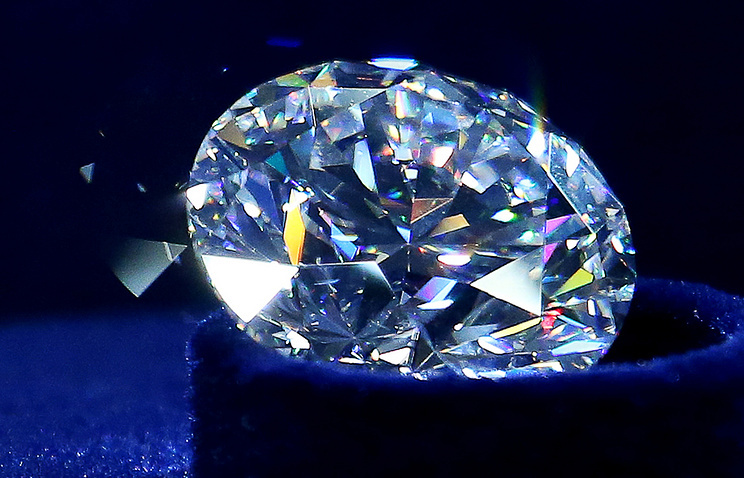 The main diamond has a Triple Excellent cutting, a traditional round form with 57 edges, and the weight of 51.38 carats. The 16.67-carat round diamond, the second by weight, is known as the Sheremetyevs. They are followed by an oval-shaped the Orlovs diamond of 5.05 carats a pear-shaped the Vorontsovs diamond of 1.73 carats, and the Yusupovs diamond of 1.39 carats.